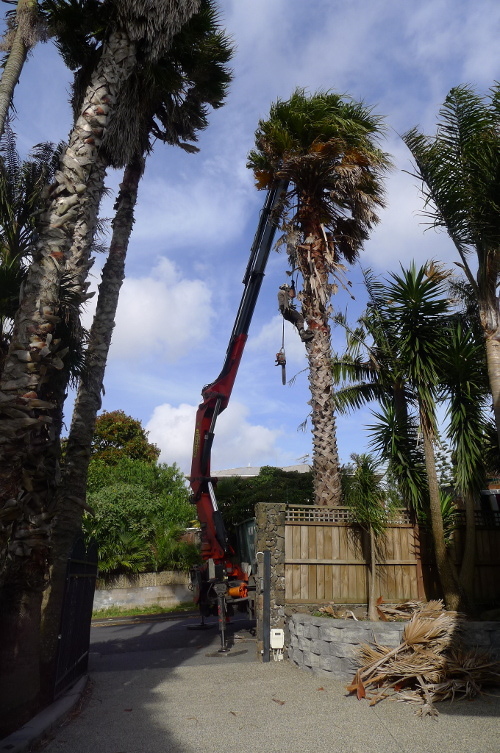 Every so often TreeZone is asked to do some work which is slightly out of the ordinary. 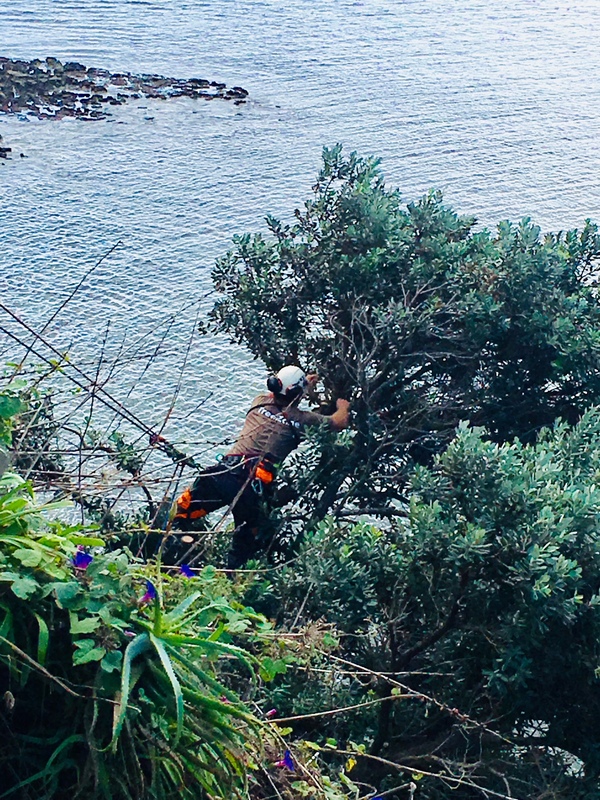 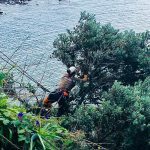 Whilst we specialise in the removal of trees in technical situations, it is not often that many of them are half way down a cliff. 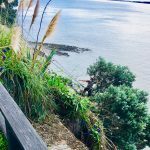 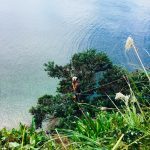 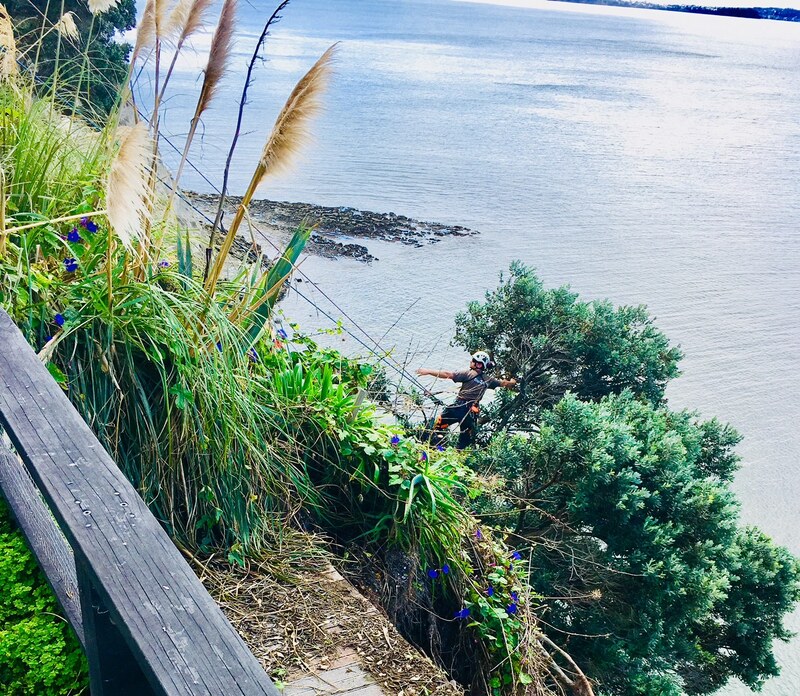 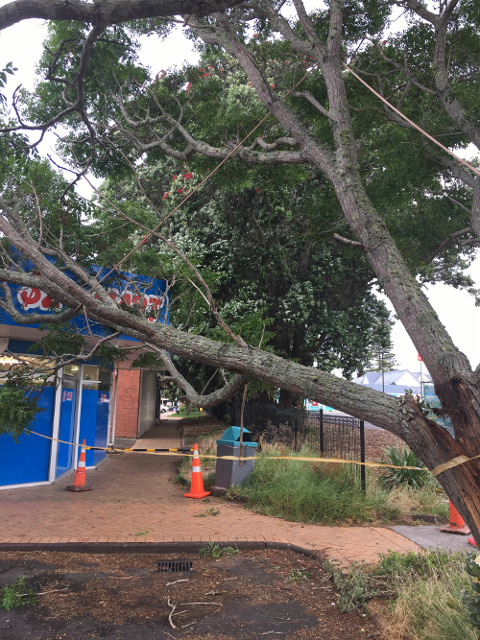 Following one of Auckland’s many wet storms a tree that had been up on the top of the bank had been hammered by the storm and started to slip down the cliff. 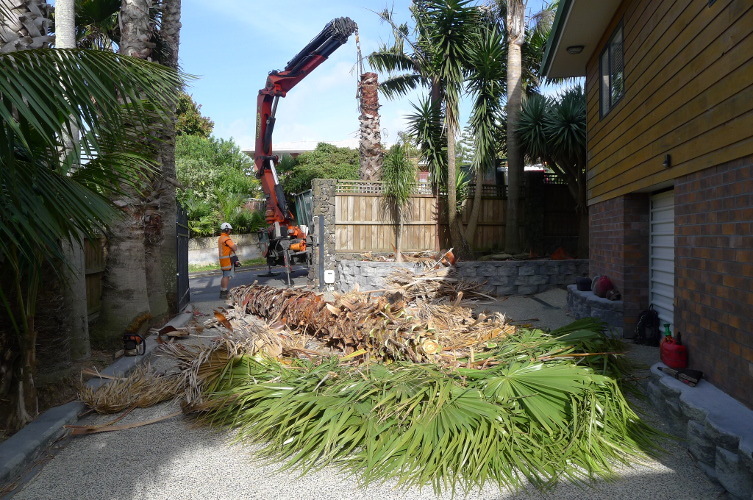 In this situation TreeZone was able to advise the client that the tree could be saved, allowing the roots to continue to stabilise the bank. 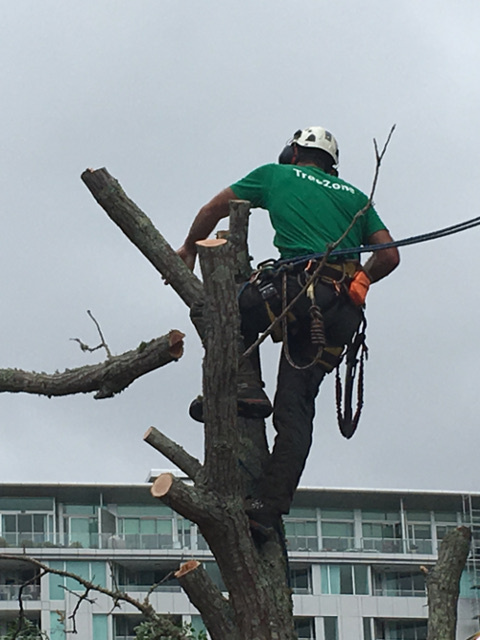 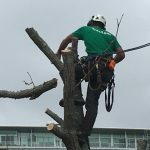 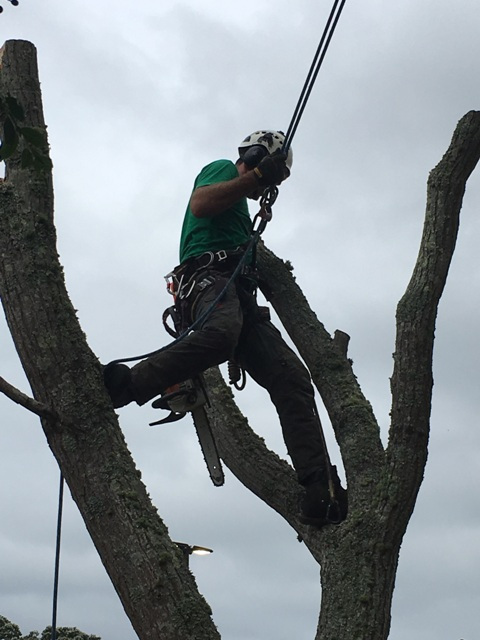 Luckily TreeZone had the skills and capabilities to abseil down to the tree and take off the weight of many of the branches, leaving the tree secure and tidy. 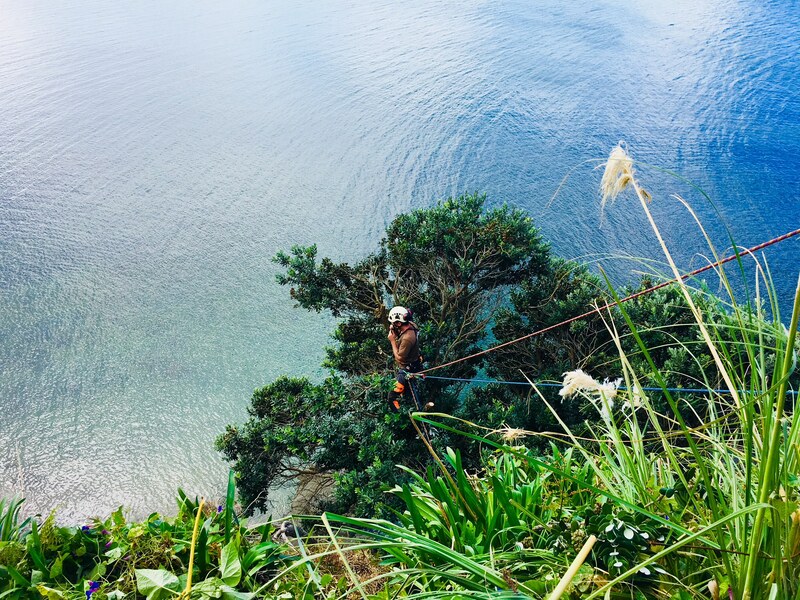 It was a tricky but interesting day for the team and a magic view! 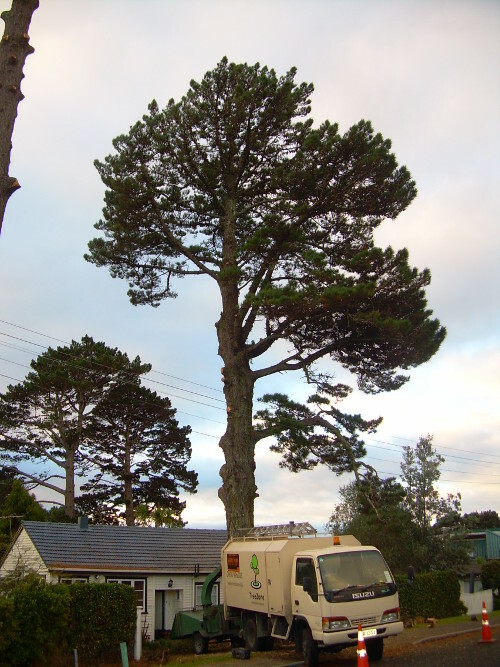 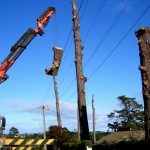 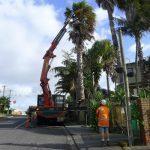 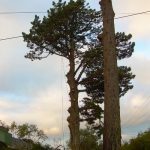 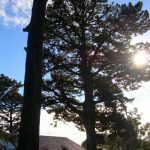 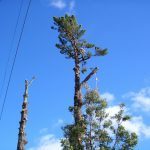 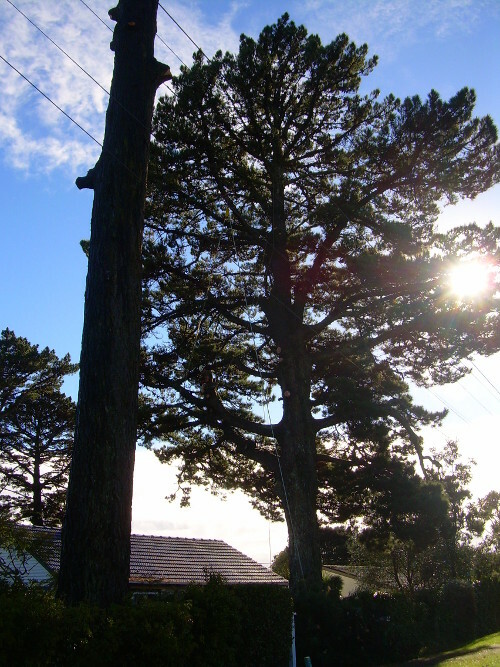 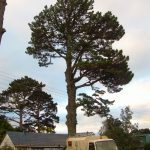 This group of mature Radiata Pine trees were located above power lines on a residential street and were beginning to become hazardous. 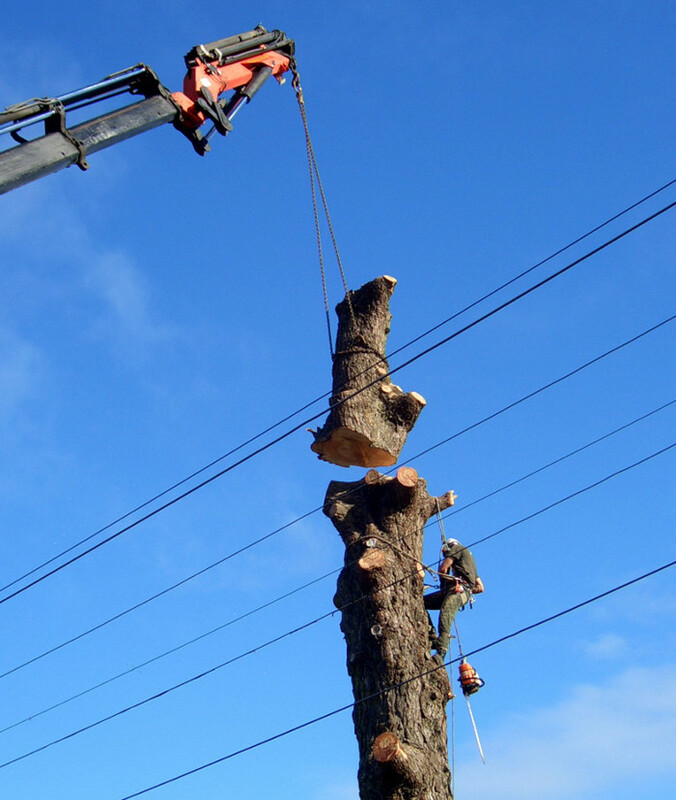 Due to the location above utility services and fencing we lowered the crown and main branches. 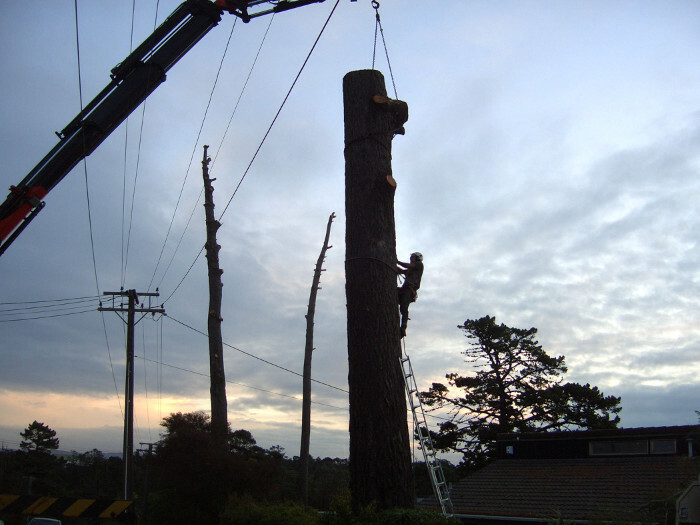 We controlled this by using rigging ropes and lowering devices. 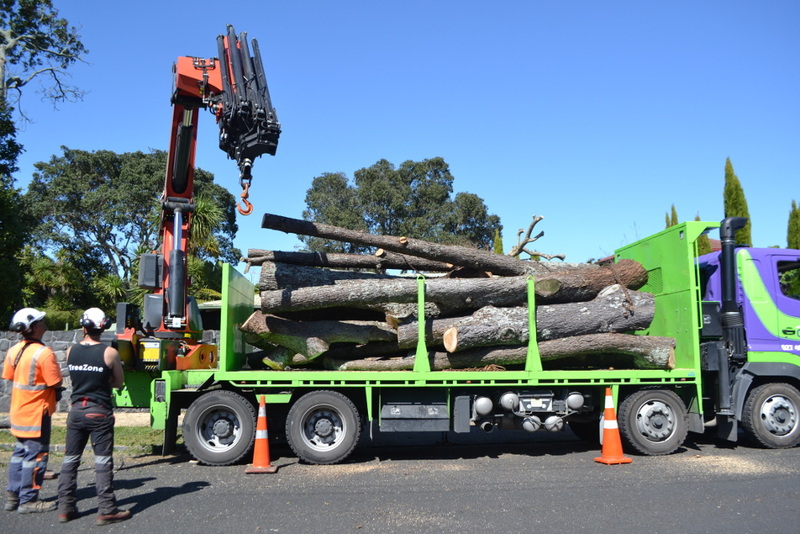 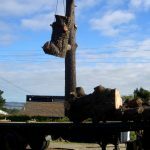 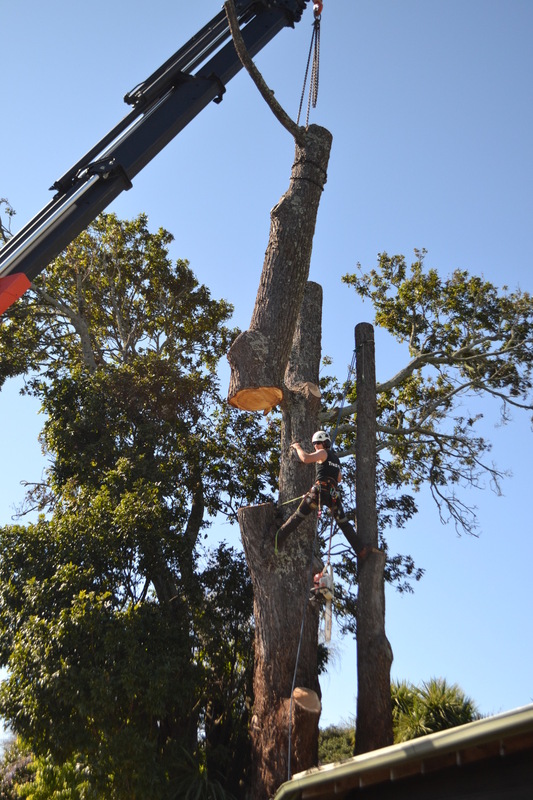 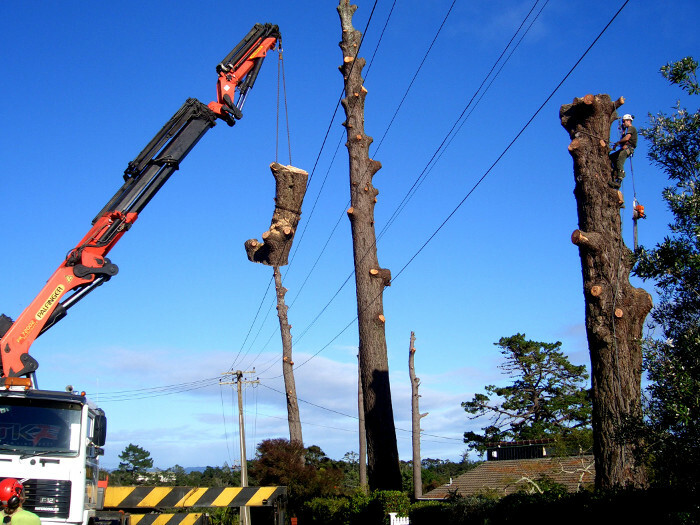 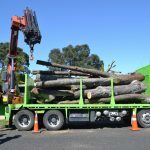 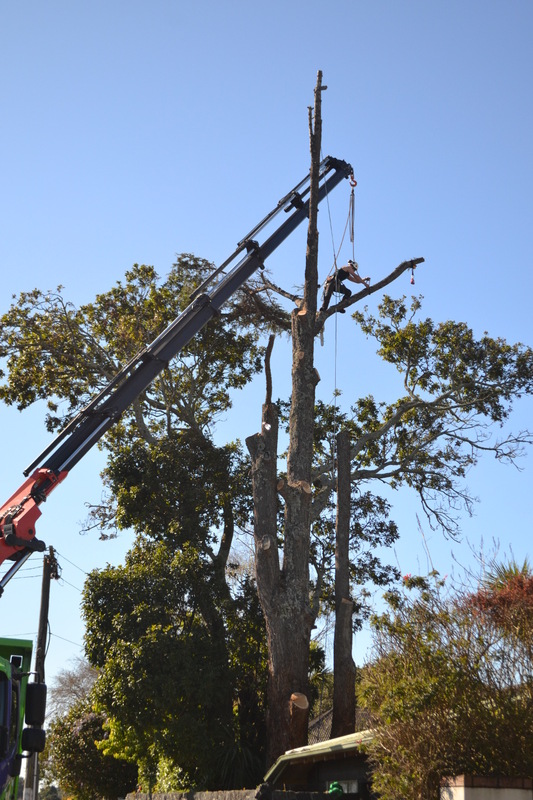 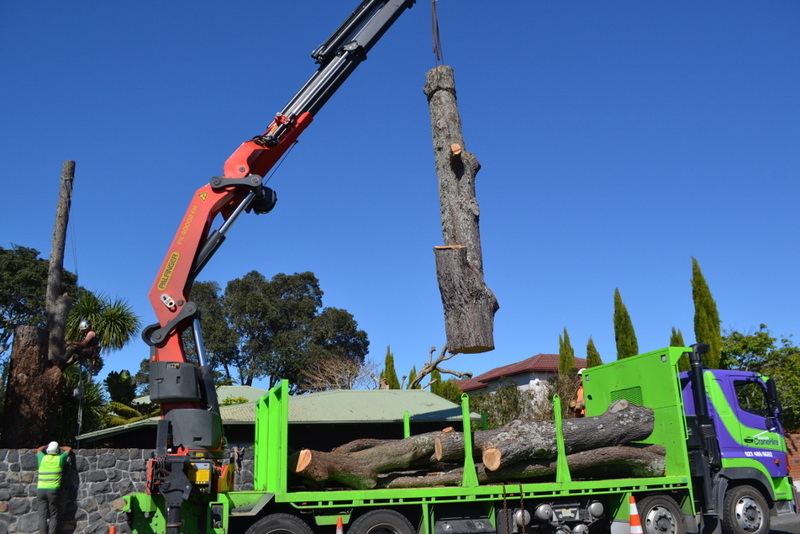 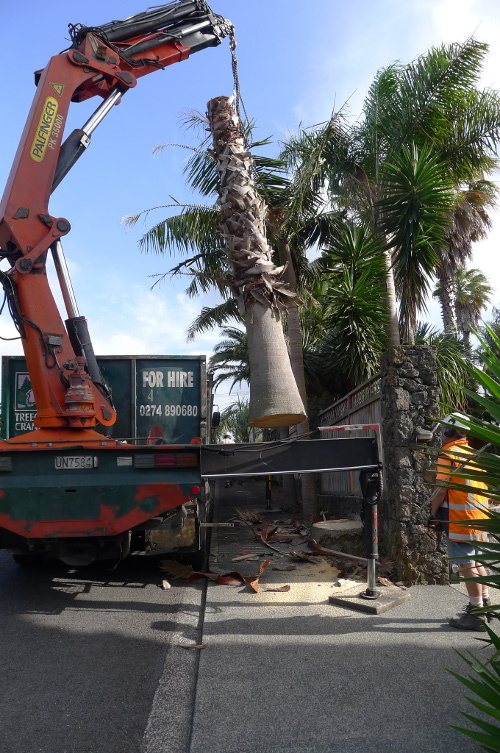 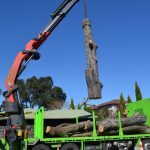 For the main trunk we used a large Hiab crane to remove the stems in sections and cart them away for processing. 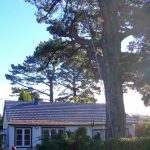 The difference in light and warmth to the two properties below where these trees had been was significant, and happy clients made for a great job. 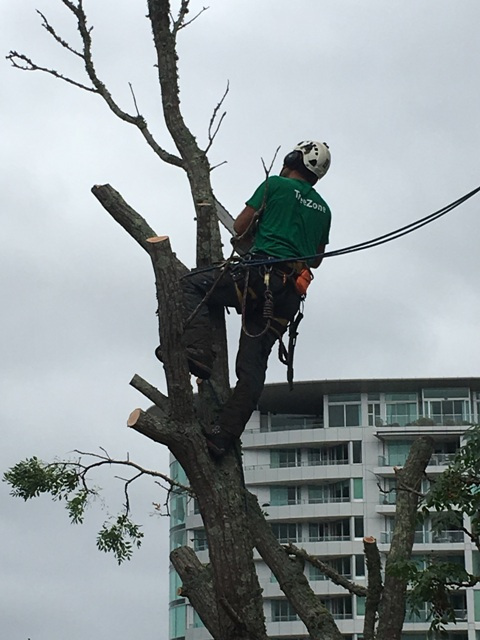 TreeZone was called out after hours to an emergency job where a storm damaged tree was threatening the building below. 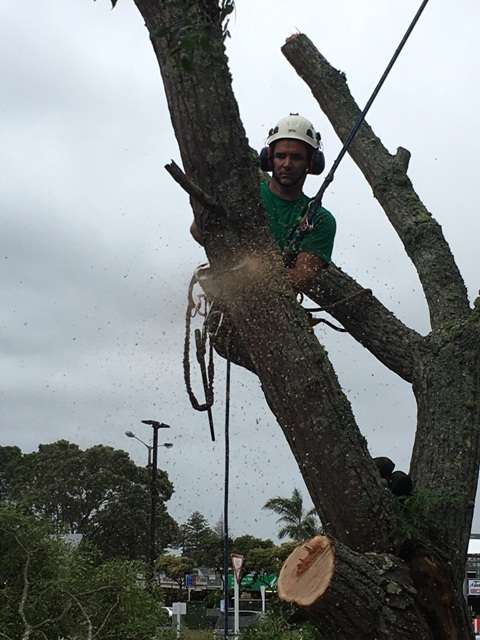 On arrival we found the stormy conditions were causing the tree to continue to weaken and fracture the main stem. 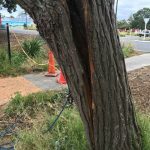 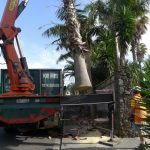 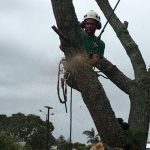 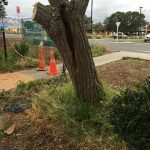 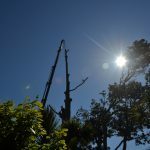 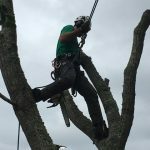 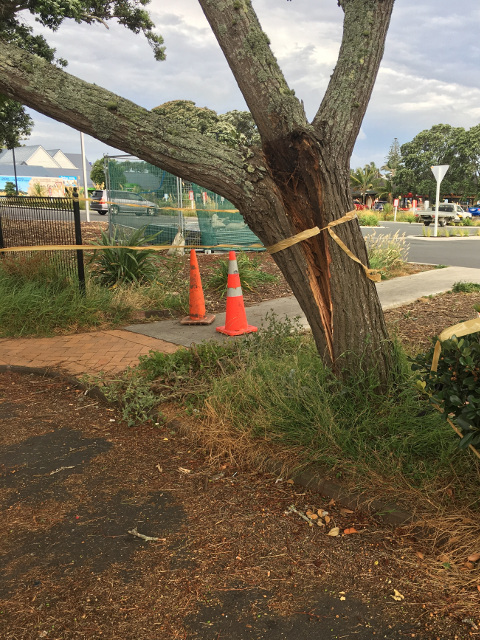 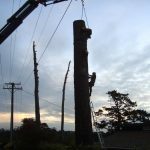 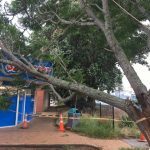 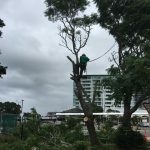 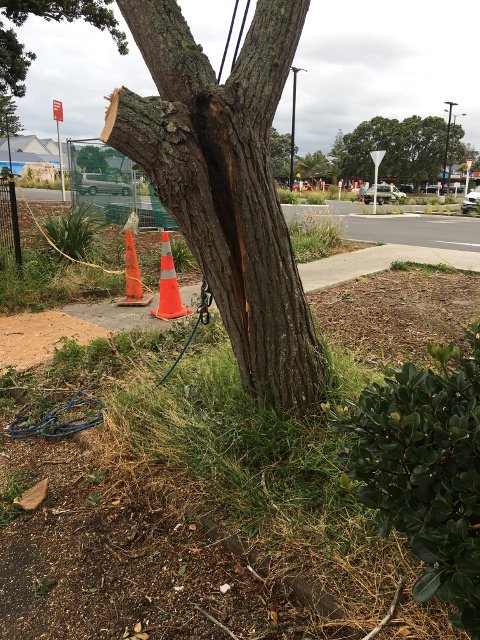 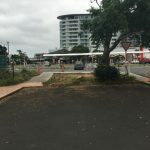 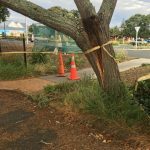 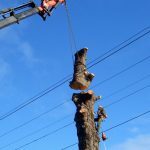 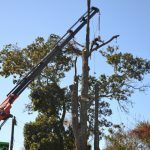 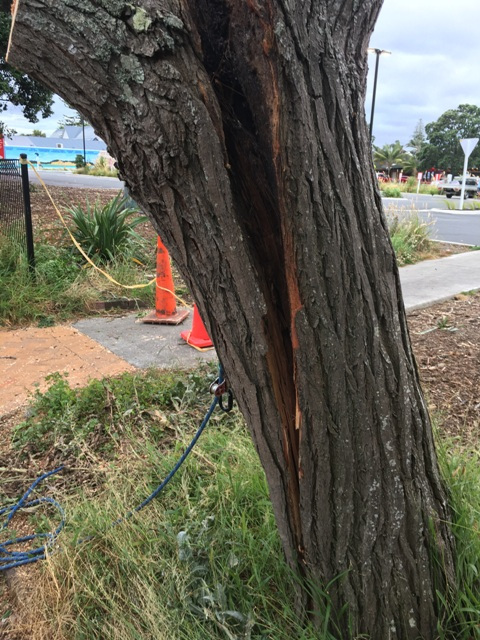 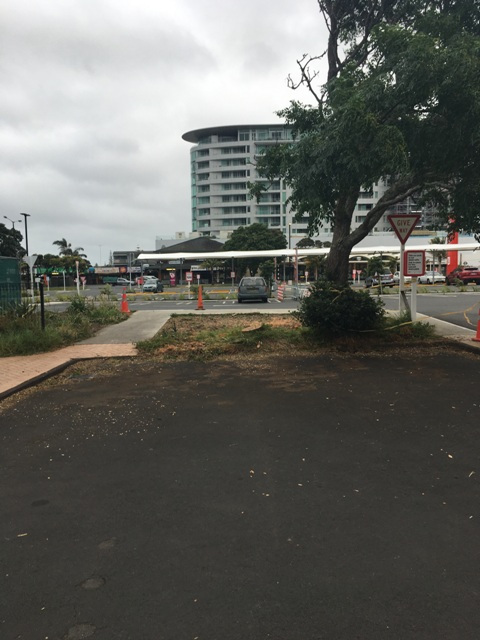 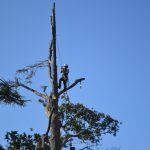 The area was cordoned off, staff were moved from the premise and quick work to secure the tree with bracing ropes, meant removal could begin safely. 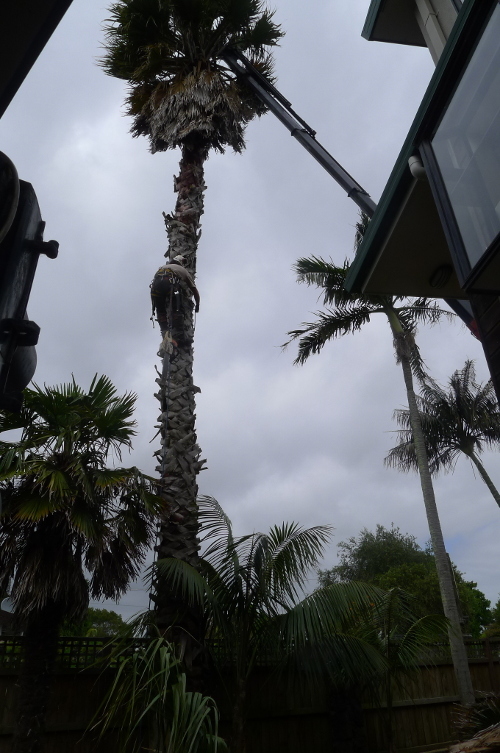 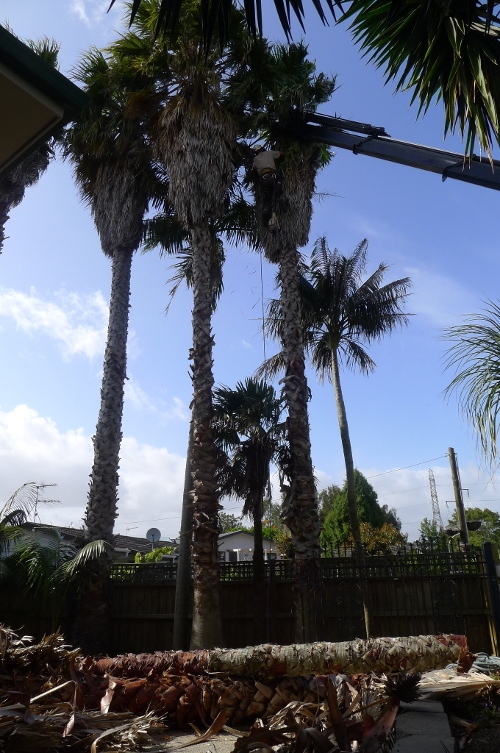 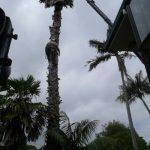 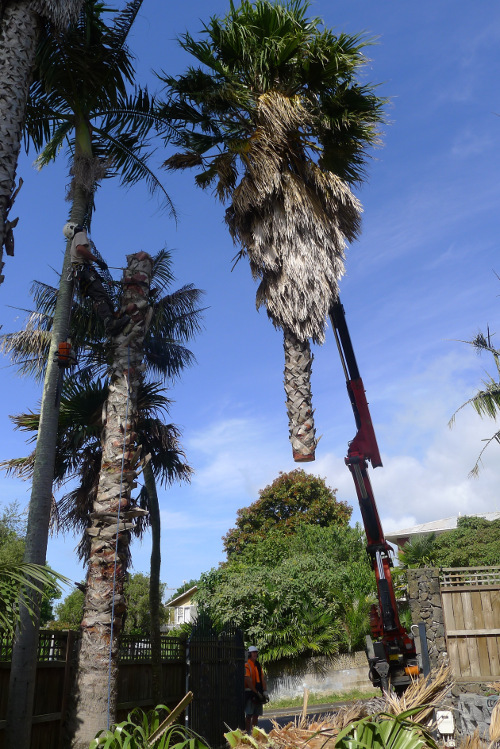 This client had a large collection of rare and unusual Palm trees. 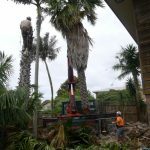 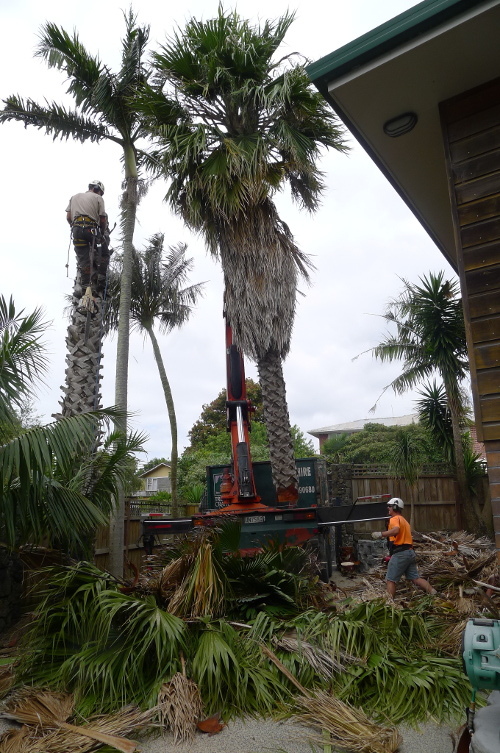 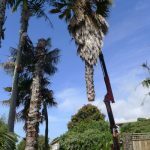 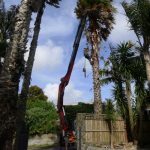 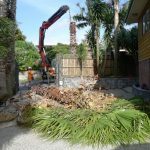 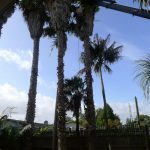 One row of approximately fifteen Fan Palms had outgrown its position between a driveway and fencing and unfortunately had to come down. 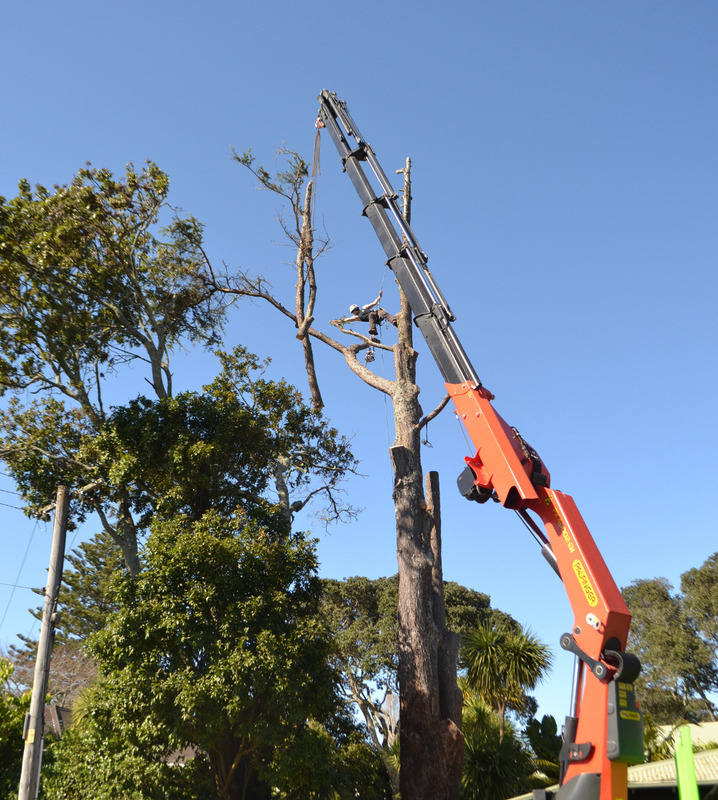 Using a Hiab crane to lift out sections allowed us to remove them with minimal impact on the underlying plants and structures. 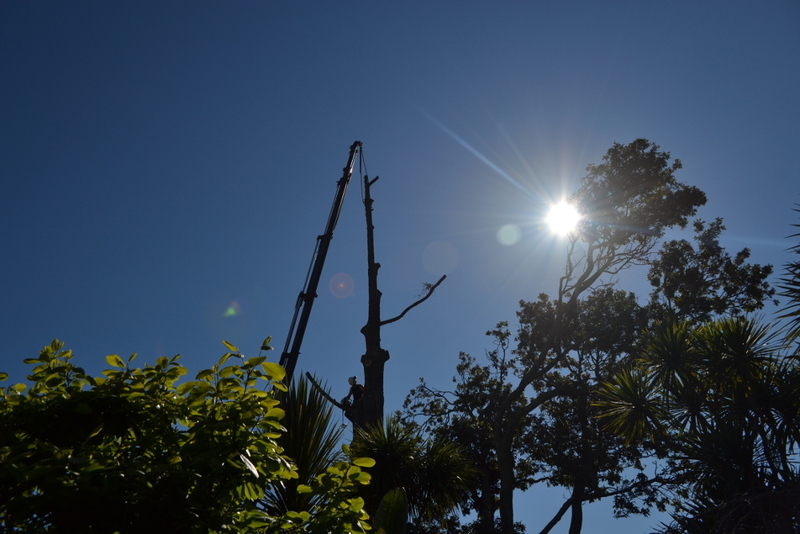 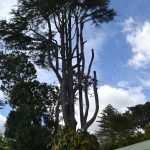 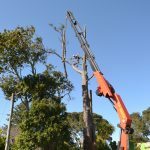 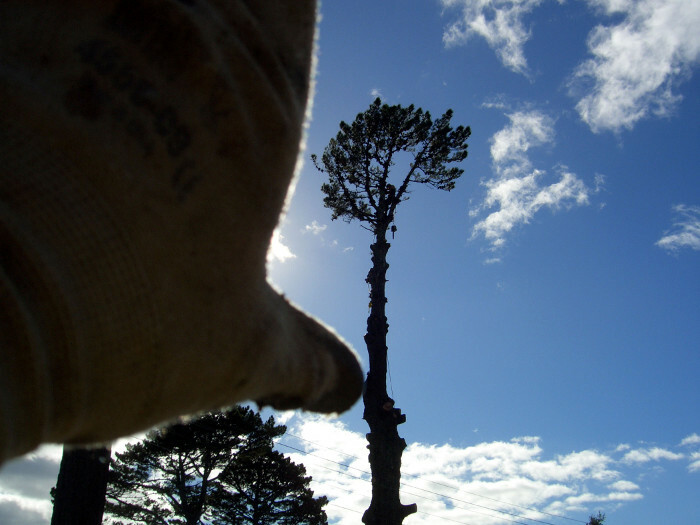 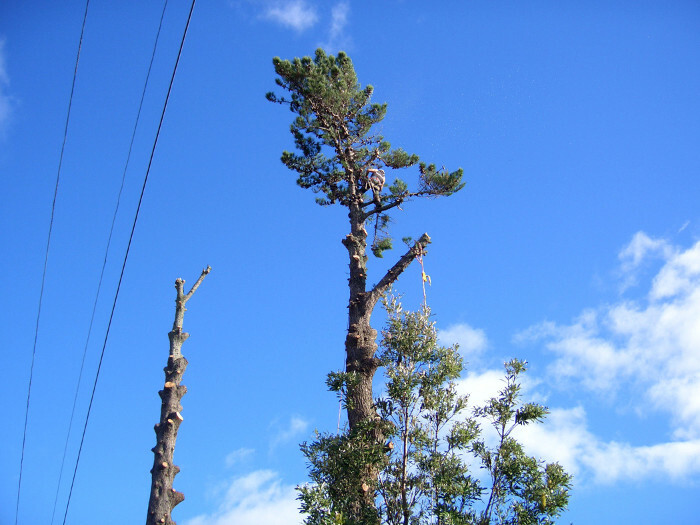 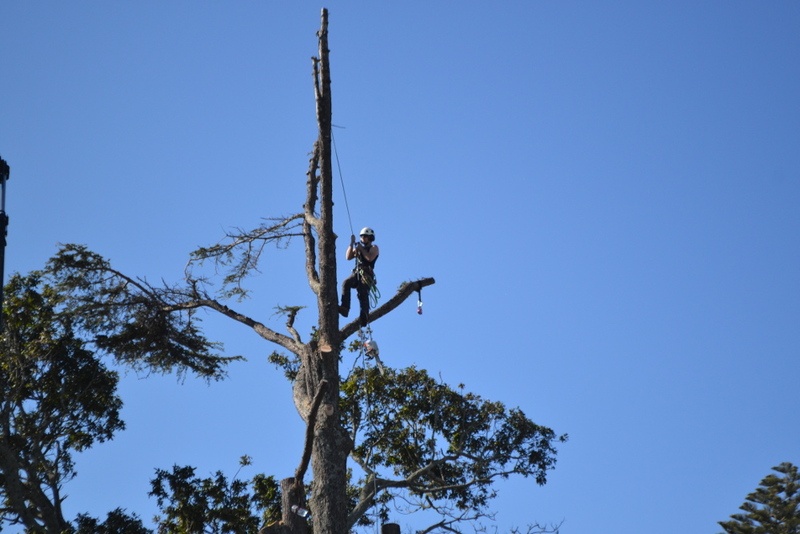 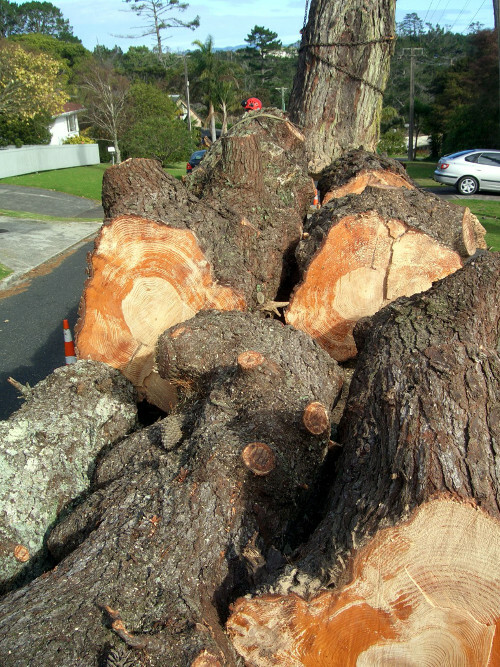 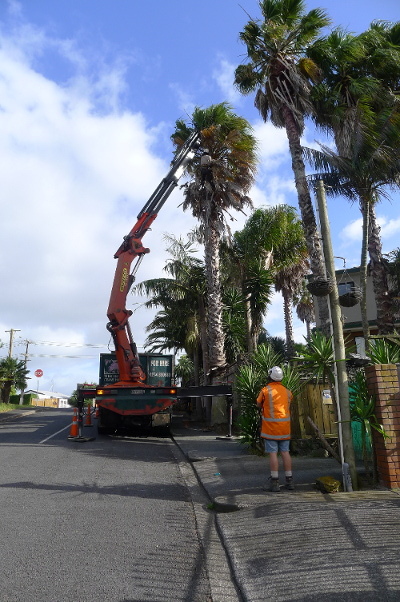 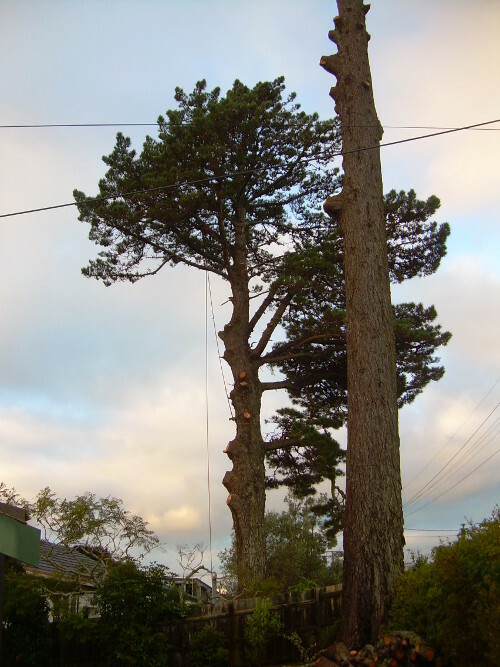 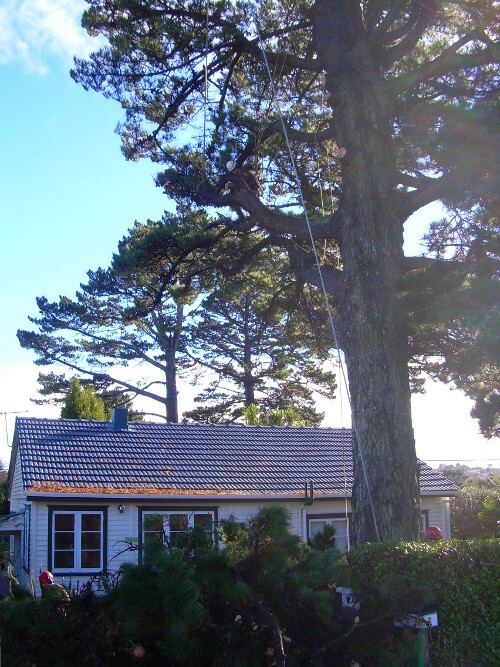 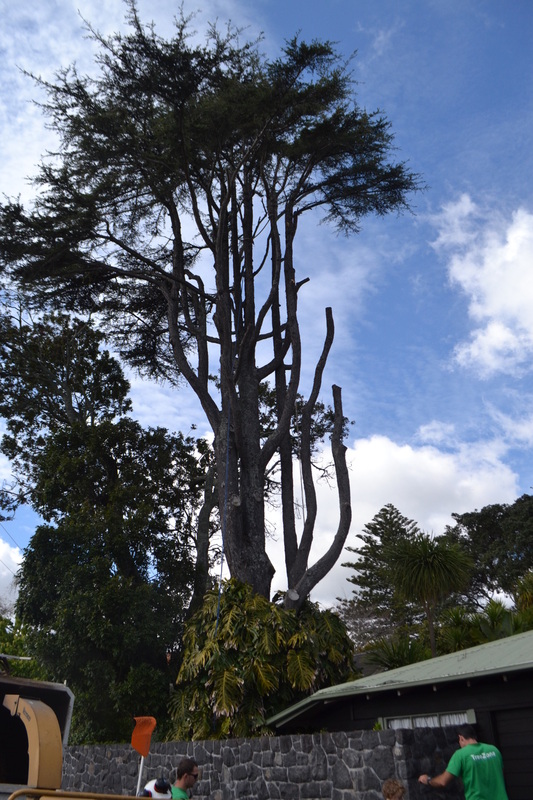 Picture montage showing the removal of a mature Lebanese Cedar in Epsom. 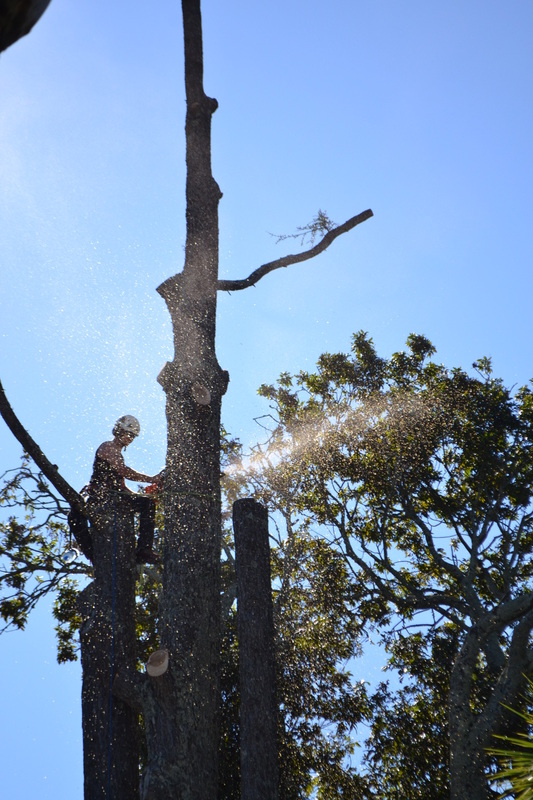 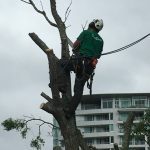 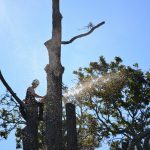 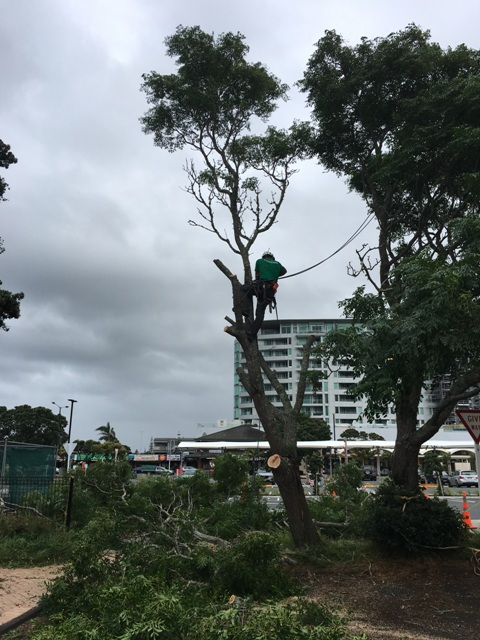 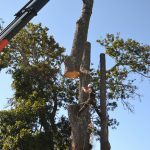 Use of ropes and a Hiab allowed for greater control of the tree limbs and trunk of this 30m tree in a restricted work area. 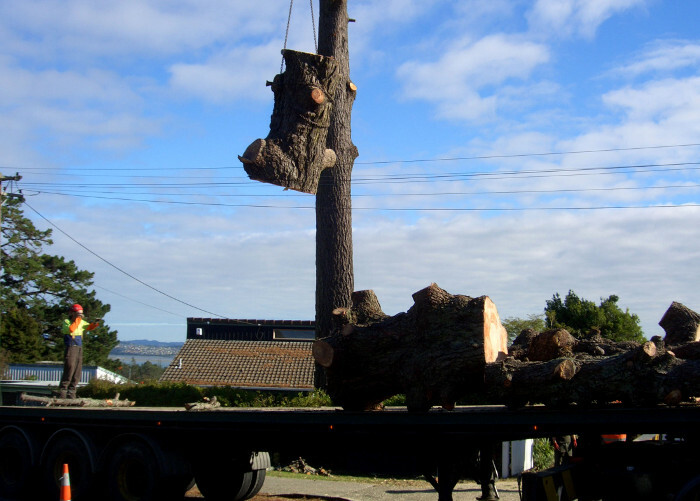 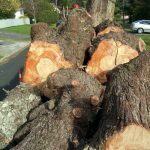 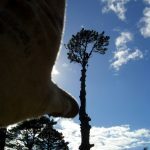 Talk to us about your Tree consent needs and we can work with the Council towards the desired outcome.